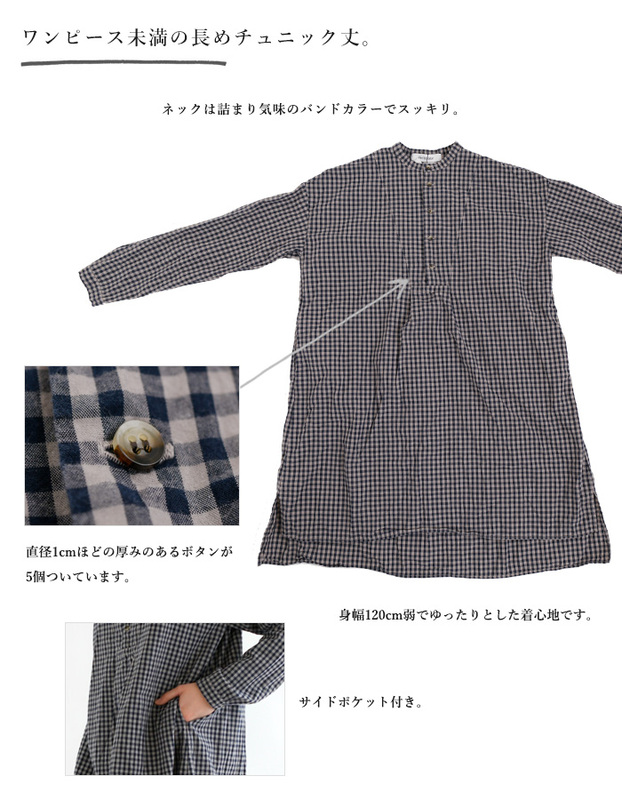 The pullover shirt which is not sweet, and can enjoy a gingham check. 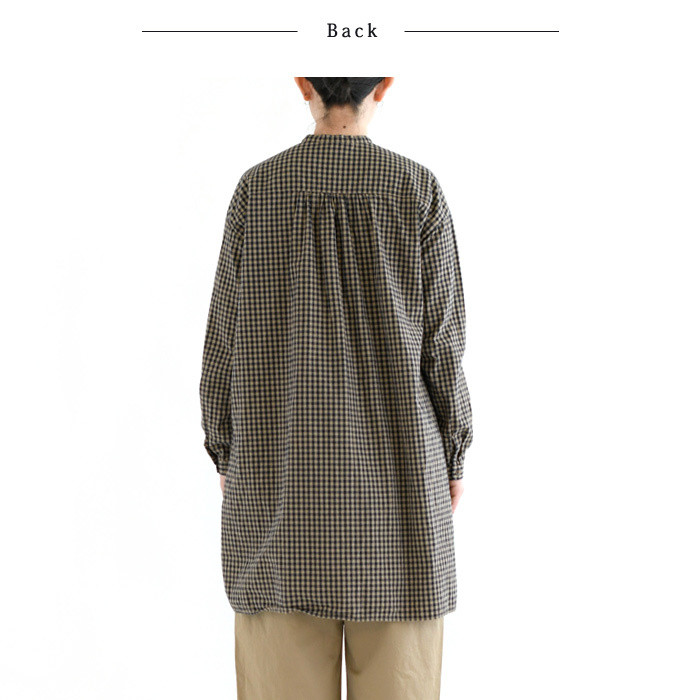 It is the tunic shirt which can enjoy an original taste like Veritecoeur by adding person trouble to material. 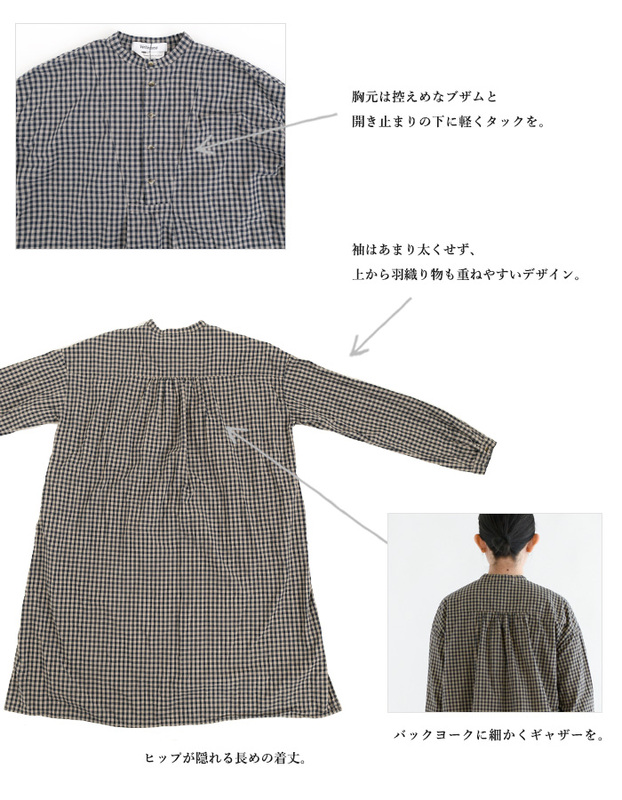 The pullover shirt of the band collar which brings on an adult-like atmosphere by putting product dyeing for the gingham check that is apt to become sweet, and finishing it in vague color taste matches both on the small side underwear and wide underwear at length of around 95cm that the hips hide in well. 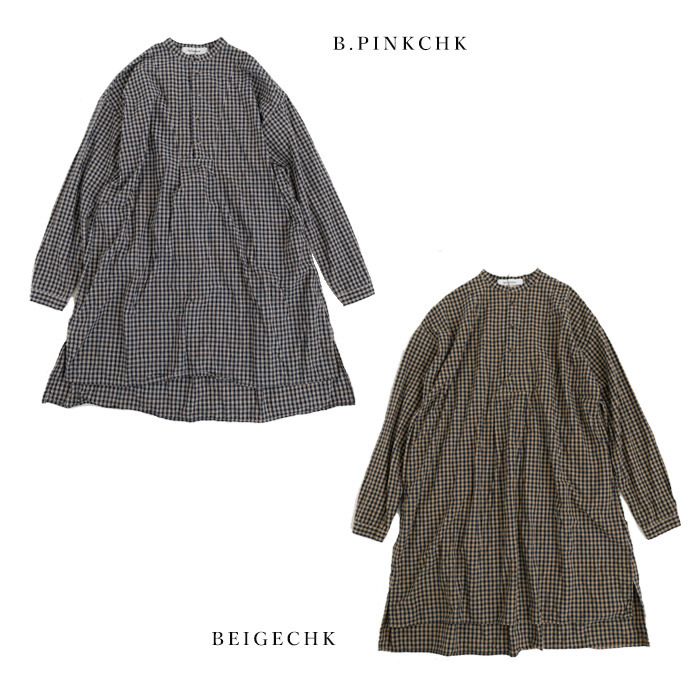 The warm plain weave cotton of the texture does not have translucency, and there is a feeling of moderate tension of the thing which is not hard and is the point that I am glad of the point that is hard to pick up a physical line. 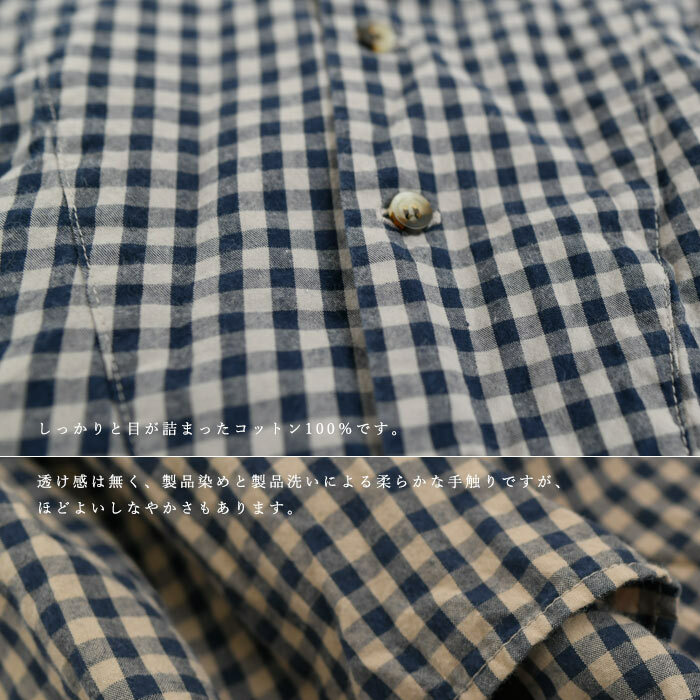 A gingham check of the color taste with the nuance by the product dyeing. It is 100% of cotton clogged up with eyes well. 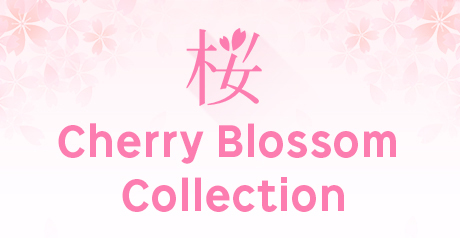 There is not the translucency and is the soft feel by product dyeing and the product washing, but there is the moderate flexibility. The length with the anteroposterior difference. I make a length difference after a side slit in before and after. Cutting of the hem is straight a straight, and sweetness is a modest impression. 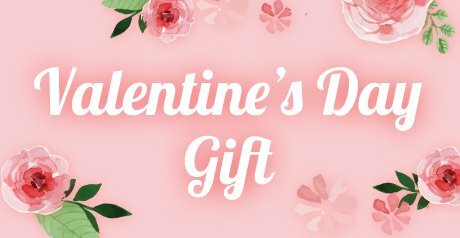 Why is Veritecoeur one size development? 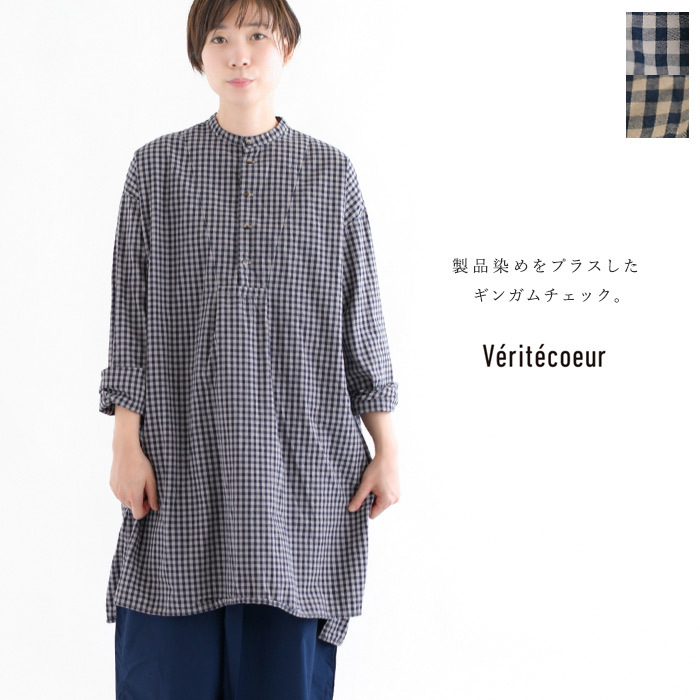 As for the item of Veritecoeur, the most are one size development of the adjustable size. 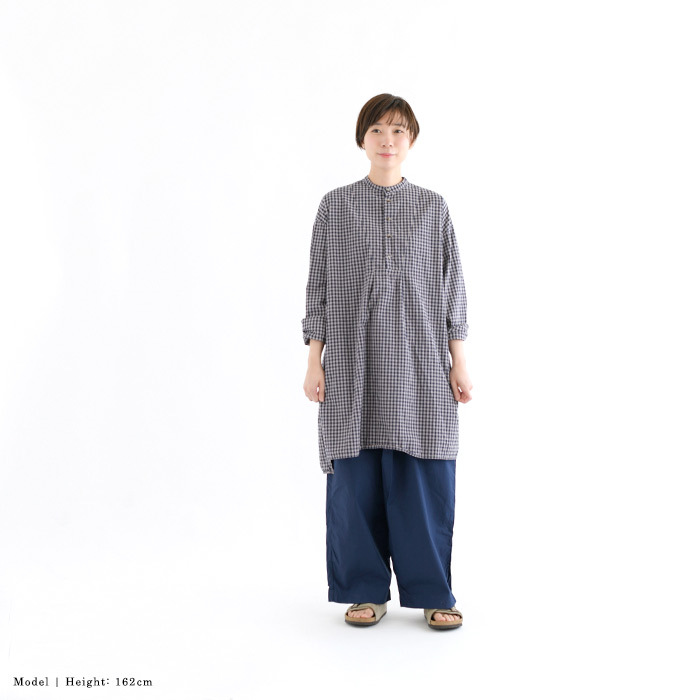 As the reason keeps a design and the function that I can arrange to a figure, it is based on a thought not to be necessary to develop size. As for the trendy fashion represented by American brands, French people enjoy fashion particularly Europe while it is not rare that there is size development more than 6 while the clothes let arrangement work for one's figure with a thing of the unhurried comfort not what let you just go along the body to be correct. 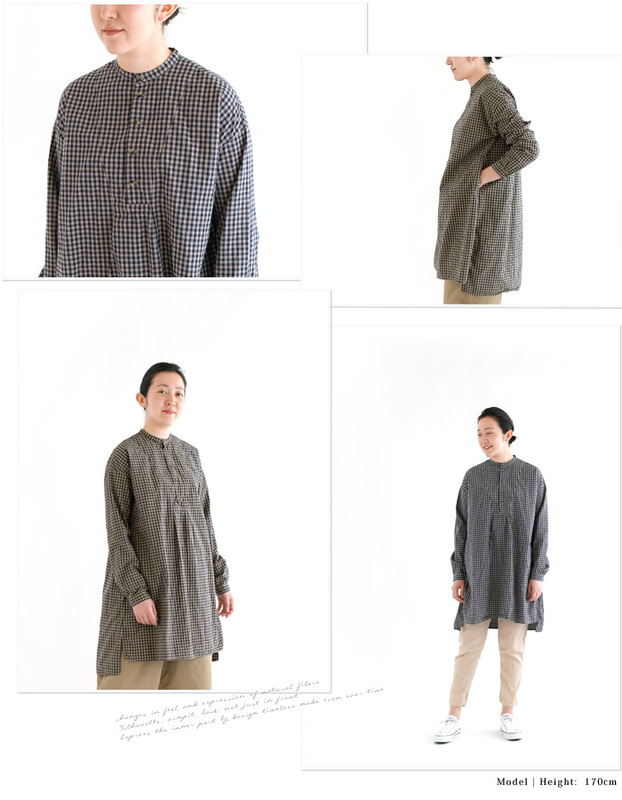 The way of thinking for clothes of Veritecoeur is the same as the latter and is one size development that it is based on the concept of the brand to want to suggest design with the original view of the world that is not drained in the times, how to wear clothes. 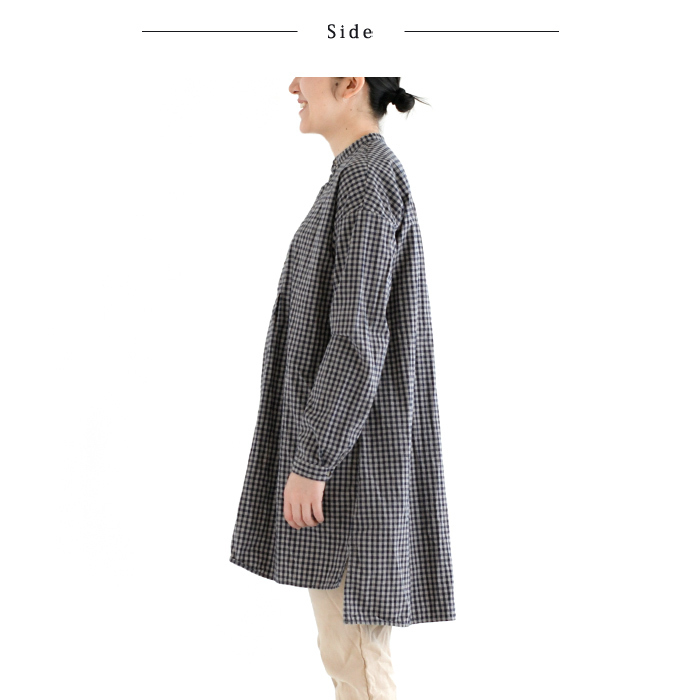 It is the product of the adjustable size. 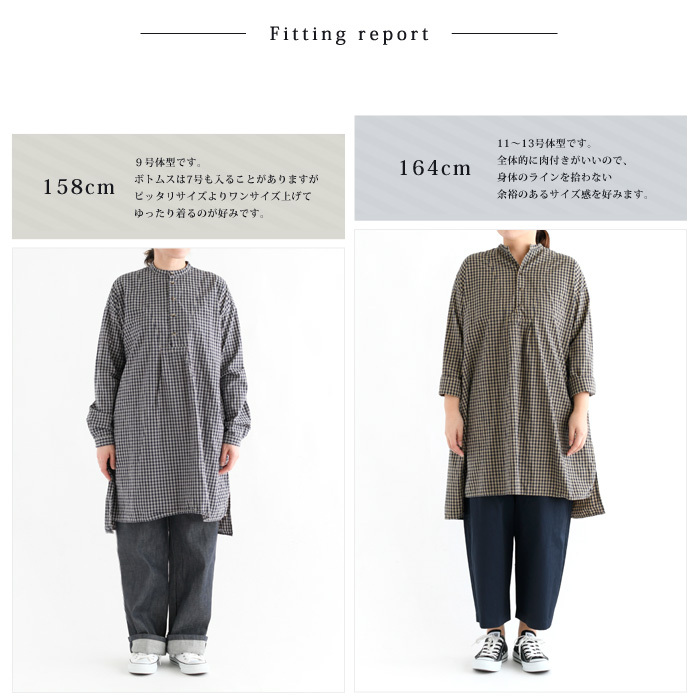 ●158cm | Length is more longish than the tunic before the age that is shorter than the dress, and is long for a shirt and is a refined feeling. 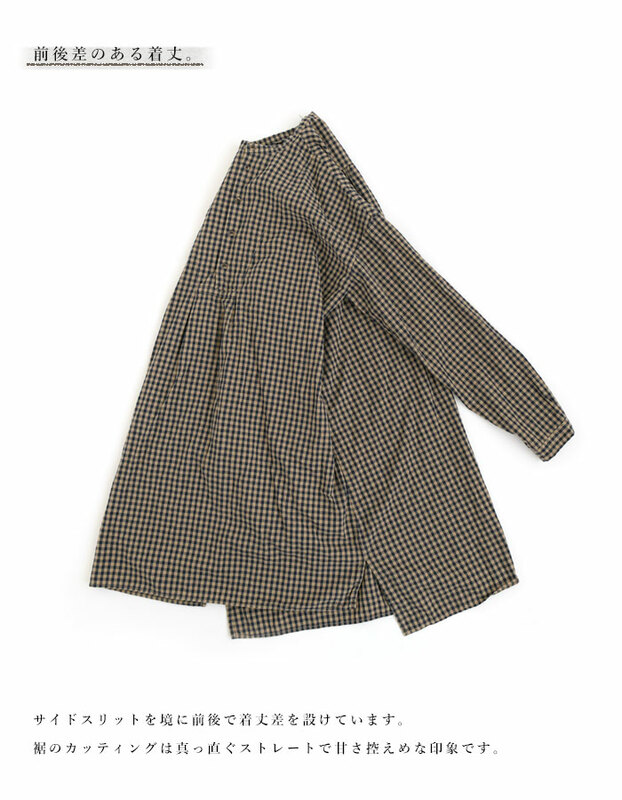 I think that it is good to turn it down as the sleeve is slightly longish, and to wear it. We did not have to worry about the translucency and were not hard even if I pinned a button most to the top. 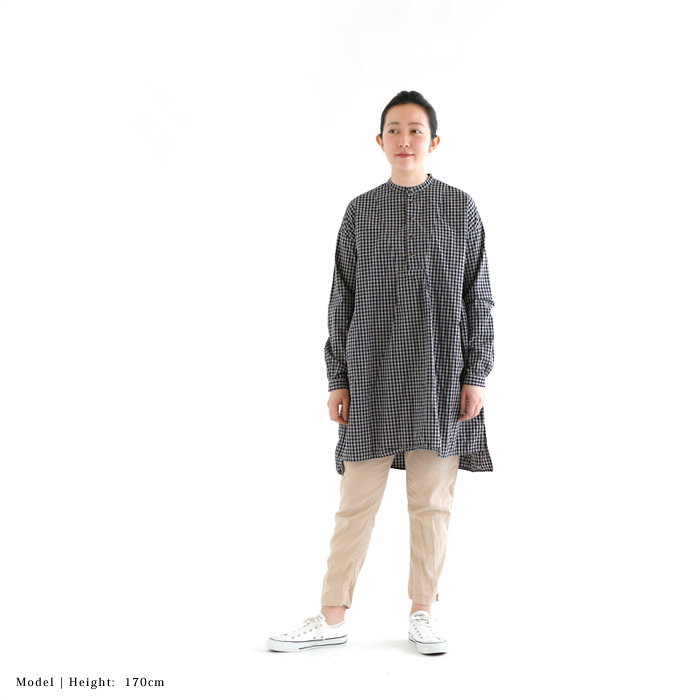 ●164cm | The width of the body is unhurried, but is the design which is hard to wear extra clothes as a sleeve is not too big. It was said and was a feeling when I took off a button upper two as I felt it cruelly when I kept it most to the top. I show cute length with the anteroposterior difference.